For the first time since 2011, the Milwaukee Brewers will compete in the National League Championship Series. 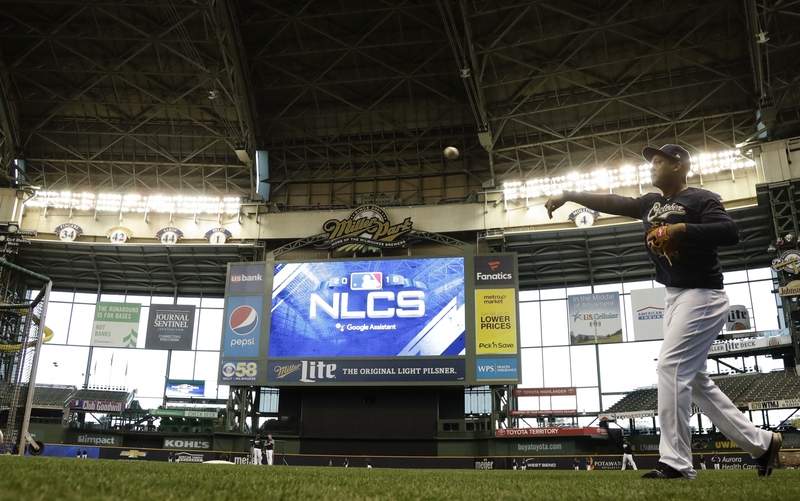 Game 1 finds the Brewers up against the Los Angeles Dodgers at Miller Park in the best-of-seven series. Winning the series would send the team to it’s second World Series in franchise history — the first was in 1982. 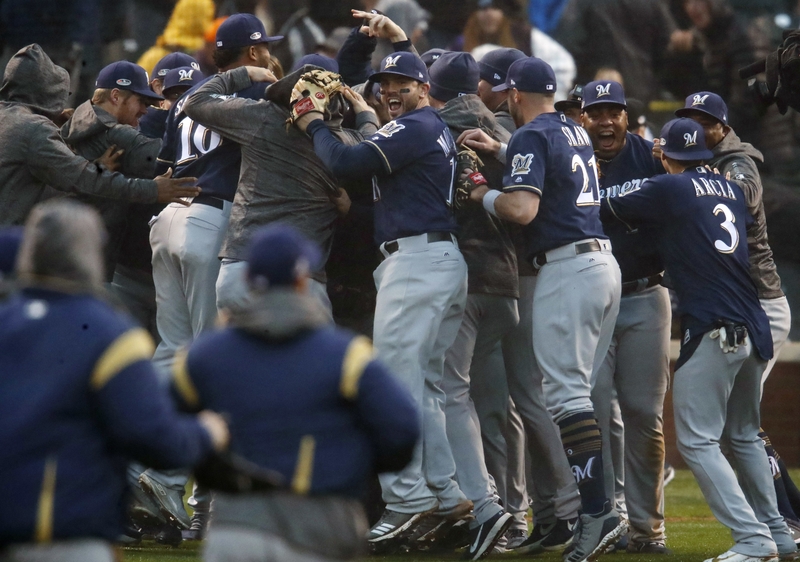 WPR's Kyla Calvert Mason spoke with Tom Haudricourt, who covers the Brewers for the Milwaukee Journal Sentinel, and gets us caught up on what to expect from the series ahead of Friday night's first pitch. Kyla Calvert Mason: How many times have the Brewers made it this far in the playoffs, to the National League Championship Series? Tom Haudricourt: Well, this is the second time they made it to the National League Championship. In 1982 they were in the American League and they made it to the American League Championship Series that year, then on to their only World Series. So, the Brewers have been trying to get back to the World Series ever since and now they’re one step away. They were one step away in 2011, the last time they made the postseason, and lost to the St. Louis Cardinals in six games in the NLCS. That left them agonizingly short of the World Series. Brewers fans have been waiting a long time to get back to the World Series and they’re tantalizingly close now. But it’s a seven-game series that has yet to begin, so there is still a lot of work to be done for any of the final four teams to get to the World Series. KCM: The Dodgers are known for having a strong set of starting pitchers while the Brewers have relied a lot on their relievers this year. What can fans expect to see in the pitching matchup from the two teams? TH: I do think that is the key matchup in this championship series — the Dodgers starting pitching versus the Brewers relief pitching. One is going to depend on the other for the Brewers. Can they score some runs early against Clayton Kershaw and Walker Buehler and the other really good starting pitchers the Dodgers have and get to their bullpen with leads? That’s been their formula all season long, but particularly down the stretch when they started pulling their starting pitchers earlier and going to their bullpen, which is really deep and talented. The Dodgers have more of a traditional starting pitcher working as deep into games as they can and then going to their bullpen. But the Brewers don’t look at it that way. They’ve blurred the lines between starters and relievers. They don’t even use those words, they use "out-getters." They use the group approach and their goal is to get to 27 outs and win a game and use as many pitchers as it takes to get to those 27 outs. You adapt to your talent. The Brewers don’t really have a lot of name starters like the Dodgers have. They have one starting pitcher Joulys Chacin — he’s been by far their ace. He was the only pitcher who took every turn in the rotation this year and for the Brewers to win 96 games and win the NL Central and advance so far in the postseason tells you a lot about the depth they have of pitching and how dependent they’ve been on their relief corps. KCM: Even with pitching being a strength of both teams, someone is going to have to score eventually. What should we expect offensively? TH: Both teams are very reliant on hitting home runs. The Dodgers were first in the National League for home runs and Brewers second. Baseball has kind of become home run dominated in general right now. There’s huge interest in getting guys who can hit home runs, launch angles and exit velocities and a whole new way the game is played. You don’t see teams playing so-called "small ball" as much with big rallies. They go for quick strikes now and the home runs. I don’t think you’re going to see a ton of runs scored in this series. I think the occasional home run here or there is going to settle games. Generally when you’re facing good pitching, it’s hard to sustain long rallies and get a bunch of hits in a row anyway. It wouldn't surprise me at all if almost all of the scoring or most of the scoring comes via the home run in this series. Both teams have a lot of power. KCM: What’s the atmosphere like at the park and in the city right now? TH: There’s definitely a level of excitement. You see it, hear it, read it everywhere you go. I think the Brewers are having trouble keeping Brewers apparel stocked in their stores. Seems like every time a shipment comes in they’re gone before the day, it's out. So there’s lots of people wearing Brewers colors now, interested in the games. The place has been hopping in the postseason and really down the stretch too. The fan support in this city is incredible when you consider the market size. It’s by far the smallest market in the major league, yet they drew 2.8 million this year, so they’re drawing more per capita of local population than any other team. They’re the envy of a lot of other teams that don’t draw as well. You don’t have to go to the playoffs every year to get these fans to support you, but it certainly gets them pumped up when you do. And the Brewers, the way they surged at the end, they’ve won 11 consecutive games. That’s a very long winning streak for this time of year. It’s very hard to compile that number of wins in a row at this level of competition. If they wouldn’t have done that, they wouldn’t have clinched the division, they wouldn’t have topped the Cubs in that one-game show down for the NL Central title, they wouldn’t have swept the Rockies. So they’ve almost had to do it, so they come into the series with a lot of momentum. The Dodgers also had a very strong finish to win the NL West. These are two hot teams, probably the best teams in the league the way they’ve played down the stretch. So, it should be a very good matchup. It’s always enjoyable this time of year to cover these types of games. The intensity level is pretty high and the atmosphere is pretty great. We’re expecting some high decibel levels, especially with the roof closed.